This elegant room, dominated by portraits of George III and Queen Charlotte, attributed to Sir Joshua Reynolds, is the ideal setting for every special occasion from cocktail parties to formal dinners and working lunches. Please note that when booking the Reynolds Room and selecting from our Banqueting Brochure, no room hire charge is applicable. 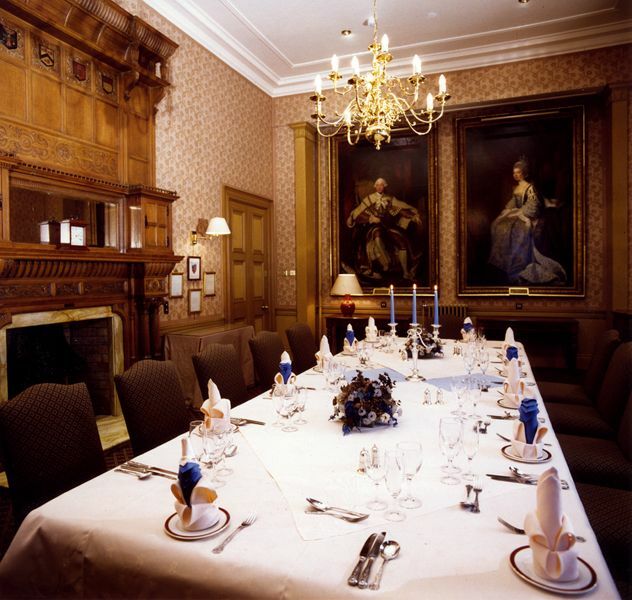 In addition to Conferencing, our private rooms are the ideal setting for business lunches, receptions and fine dining. Have a look at our catering page for more information.